Last weekend of September saw the final 2017 Dunlop MSA British Touring Car Championship event take place at the Kent based Brands Hatch circuit. With six race wins and fourteen podium titles earned in the overall championship, Adrian Flux Subaru Racing’s Ashley Sutton has been crowned the 2017 BTCC Champion. The 23 year old Essex based driver, took the win after an intense set of three rounds, although without a single first place win, Sutton took two third place podium wins, which gave him enough championship points to dominate the event. The final drivers podium was completed with Team BMW’s Colin Turkington in second place and Speedworks Motorsport’s Tom Ingram in third. Turkington’s sensational race 2 win, meant that Sutton was left with only a six point advantage and in danger going into the final round. However, luck really shined upon Sutton in the championship finale, lap two saw Ingram’s Toyota and Mat Jackson’s Ford touch at the Graham Hill Bend, forcing the latter wide on the exit of the turn. As Jackson’s car returned to the track, Turkington’s oncoming 1-Series happened to be in the wrong place at the wrong time and contact between the two was unavoidable. Collision meant that Turkington’s championship title dream was over, as the rear-right upright on his car had been massively damaged. Rob Austin took the win, while Ash Sutton secured his championship win after finishing in third. 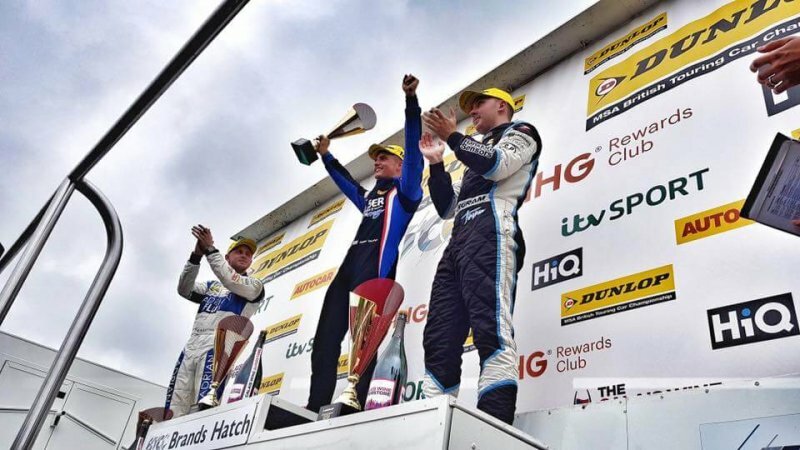 Laser Tools Racing’s, RCIB Insurance Racing sponsored Aiden Moffat, the BTCC’s youngest ever driver, took home a first place win in Round 1 and once again proved his competence and skill, since his maiden race win in Donington Park earlier this season. Ingram claimed the Independent Driver’s honours, as well as securing the Independent Teams’ title for his Speedworks Motorsport team. Furthermore, Ingram claimed third place in the overall championship standings after gaining advantage over the reigning champion Gordon Shedden and demoting him to fourth. 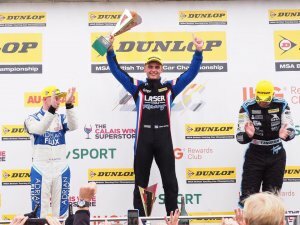 Turkington, even though missing out on the 2017 BTCC Champion’s crown, saw his Team BMW take both the Manufacturers’ and Teams’ championship titles. Power Maxed Racing’s Senna Proctor showed impressive performance and finished his rookie campaign by taking home the sought after Jack Sears Trophy. With the final curtain falling on another superb Dunlop MSA British Touring Car Championship, RCIB Insurance Racing will be back once again for the 2018 season in Kent at Brands Hatch on 7/8 April.